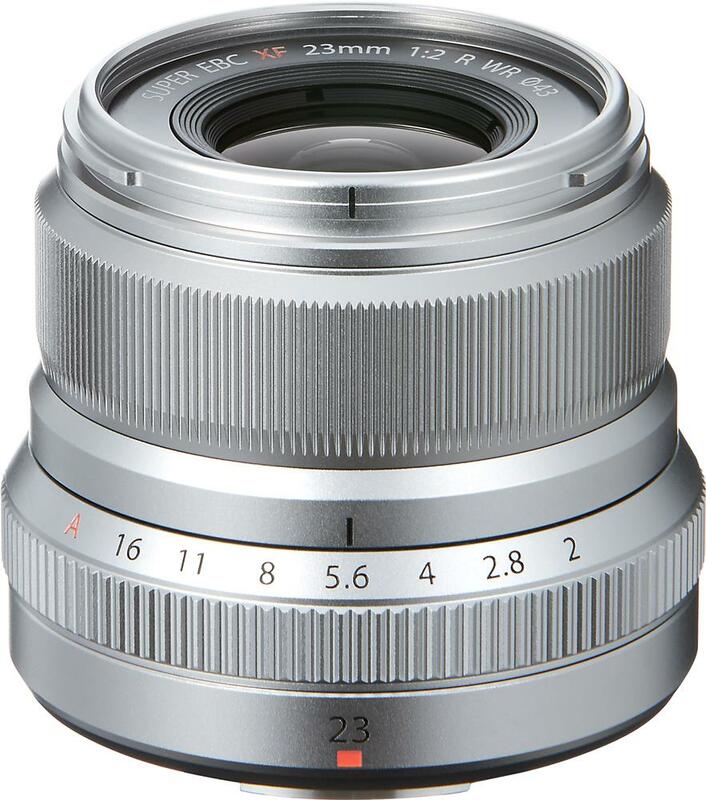 The XF23mmF2 R WR is a wide-angle lens with advanced image resolution, capable of drawing out the full performance of Fujifilm's proprietary X-Trans CMOS sensor. 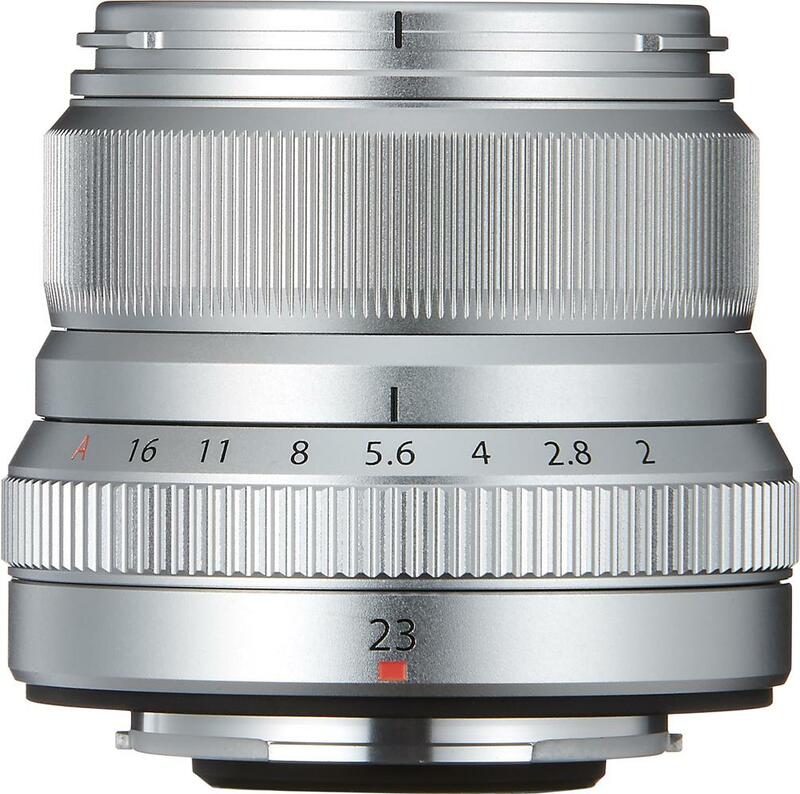 It is similar in size and design flair to the existing XF 35mm F2, to build on a stylish collection of compact F2 lenses. The inner-focus AF system uses a stepping motor* to drive the focusing group of lens elements for silent and fast autofocus. The metal exterior gives a sense of premium quality and robustness, and the aperture ring and focus ring have been designed for optimum operability. The lens is also weather and dust resistant and operates at temperatures as low as -10 degrees C, making it an ideal choice for outdoor photography. The lens consists of ten elements in six groups, including two aspherical elements. The optimum positioning of the aspherical elements ensures flatness of the image plane for edge-to-edge sharpness. The aspherical elements are used as part of the focusing group to minimize performance fluctuations between different focal distances. The lens weighs just 180g. The metal exterior, modeled after the design of XF35mmF2 R WR, gives a sense of premium quality and robustness. The compact and stylish form factor almost completely eliminates mechanical vignetting* when using the optical viewfinder on the FUJIFILM X-Pro2 and X-Pro1 cameras. The aperture ring and focus ring have just the right amount of clicking and torque for great operability. The inner-focus AF system** uses a stepping motor to drive lightweight focusing elements for silent and fast autofocus. When combined with the phase detection AF system of FUJIFILM X-Pro2 and X-T2, the lens can focus in an astonishing 0.05 seconds***. The lens barrel is sealed to make it weather and dust resistant, and capable of operating at temperatures as low as -10 degrees C.
When mounted on the weather- and dust-resistant mirrorless digital cameras FUJIFILM X-Pro2, X-T1, and X-T2, you can shoot in light rain or a dusty environment with peace of mind.